The retail trade is undergoing profound changes, and the strategies for coping with these changes and their consequences are complex. This holds true for retailers, investors, operators, financiers, and all others in the retail real estate industry. The world is in a constant state of change, and so is the retail sector. In an environment of complex and fluid changes, it is important to find landmarks for orientation and to make agile use of the resulting innovations and opportunities. The first and most important step towards orientation involves not allowing oneself to become so easily discouraged by supposedly unavoidable “factual constraints” and not being afraid of being left behind as a denier of change, doomed to failure. In the USA, the discussion regarding the supposed downfall of brick-and-mortar retail is being conducted under the bold “retail apocalypse” catchphrase. We are all well aware of the discussion surrounding the replacement of brick-and-mortar retail by online retailing, including the simple, but relevant, result that the apocalypse has not occurred – and there are still no signs that it will. In 2017, the US retail trade grew by more than 4,000 stores – 91% of US retail sales were generated via brick-and-mortar retail, while pure online players accounted for 3.7% of sales. Brick-and-mortar retail rules – it’s as simple as that. In Germany, too, brick-and-mortar retail accounts for 90% of total sales. However, despite its favorable position, there is no reason to sit back and relax. All players in the retail real estate market must cope with the uncertainty that comes with the comprehensive process of change in the retail sector. The communicative power and effectiveness of the entire technology industry can be felt everywhere, and it continues to have sovereignty of content in public and media discourse. However, in order to gain an understanding as to where the retail trade journey will presumably go, it is important to break away from this discourse and to identify the essential drivers of change in the retail trade – as well as the factors that have ensured continuity in consumer purchasing behavior to date and, as far as can be foreseen, will continue to do so in the future. Important topics include cost of living development, purchasing power development, internal migration, living environment differentiation, and hypercompetition among retailers and consumer products. People (in their role as consumers) are the determining factor for the adaptation processes of commerce, not technology. Conversely, technology used intelligently and in a customer-oriented way enables people to make new value propositions. As I have said: They only have to be based on the real needs of the target groups and not be thought out on their own. An important effect of online retailing is that it has revealed the weaknesses of many retailing concepts, but has not generated any. A one-sided shift of market power to consumers and a lack of positioning with many retailers are just two of the reasons for the predicament. The retail trade is undergoing profound changes, and the strategies for coping with them are complex. Shorter lease terms, as some retailers currently want, are not only disadvantageous. They offer investors the opportunity to adapt a location more quickly to demand, and if the leasing market picks up, owners can also profit more quickly. Other dealers definitely prefer to plan for the long term and secure their investments in shopfitting, etc. Many retailers increasingly see technology not only as a cost factor, but also as an instrument that enables them to develop new business models. Technology companies understand that they lack retailing expertise. For the foreseeable future, brick-and-mortar retailing will remain the be-all and end-all. Pure online retailers must also develop into omnichannel providers. This can be seen internationally, for example, at Amazon, which acquired Whole Foods in 2016 and has recently announced that it could open up to 3,000 Amazon Go stores in the USA in the next few years. As part of its New Retail Strategy, Alibaba has already acquired several brick-and-mortar retailers and is planning further acquisitions. In Germany, Zalando continues to expand its brick-and-mortar business. The topic is very complex and can never be conclusively assessed as it involves a continuous change process. 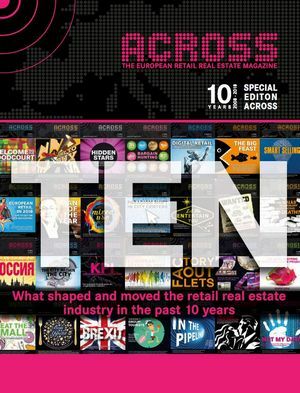 The following section includes a few reflections on the transformation of the entire retail sector and its impact on retail real estate. They come from a recently published study on the question of the direction of retail trade. If you want to successfully manage change, you must understand people. The technology-driven discussion regarding the changes in retailing and the entire world we live in has caused uncertainty among many people and within many organizations. On the one hand, the technology industry seems to be on an unstoppable march to victory, but, on the other hand, few things have changed at the rapid pace suggested by the media. The replacement of brick-and-mortar retail by online providers has been predicted for more than a decade, but more than 90% of retailing in Germany is done via brick-and-mortar stores. While all retailing is expected to go online, almost all pure online retailers are actually expanding into brick-and-mortar, all over the world. As an owner or operator of retail real estate or as a retail company or consumer, it is not easy to make sense of it all. How much longer will retail real estate be a good investment? Where should we expand our retailing business? How will revenues and returns develop? Fundamental insight: Lifestyles come and go, but the basic values on which consumers base their behaviors change at a slow pace. Dealing with people as well as the factors that ensure continuity and change are key skills. Man is the all-determining factor, and technology is his tool. It is challenging enough to understand the changing and progressively expanding lifestyles of consumers. However, the task is solvable, and there are many useful tools that can be used. Of central importance is the basic knowledge that real (deep) changes occur over longer periods of time. It is essential to detach oneself from the moment (and the zeitgeist) and to try to recognize significant lines in the course of time. The moment represents space without dimension. Without dimension, one cannot determine a direction, at least not a reliable one. If one heeds this point, the future becomes more predictable and one’s own actions become more purposeful. Brick-and-mortar retailers need to become more technology adept, and IT groups need to develop retail skills. In other words: Almost all retailers need to merge online and offline business, that is to say, they need to become omnichannel retailers. After all, consumers simply shop. Channels do not play a conscious role for them. Retailers need to understand that IT and logistics are not just service providers, but central means of winning the ever-growing competitive battle. In some ways, the narrow discussion regarding the impact of online retailing has indirectly revealed structural weaknesses in (brick-and-mortar) retailing. The need for differentiation and clear positioning has created real pressure for change. The forced alternative view of technology as a facilitator of new business models is an opportunity for the restructuring of retail concepts from the gray middle. Hypercompetition among similar retail concepts involving over-distributed products, not technology, is an important impetus for change. The example of Karstadt shows, however, that clear reorientation can lead to success – even with market participants that are believed to be dead. Pure online retailers are increasingly feeling the pressure to differentiate themselves from their competitors in a manner other than by simply being online retailers. The brick-and-mortar expansion of Amazon and Alibaba proves this, as does that of Zalando in Germany. Other pure online retailers such as Warby Parker, INDOCHINO, UNTICKit, Everlane, Fabletics, and many others are also expanding in the USA on a brick-and-mortar basis, partly due to the fact that brick-and-mortar stores are important when it comes to taking the next step in growth. Any retailer that wants to become profitable usually has to establish a brick-and-mortar store at some point. Exceptions are likely to confirm this rule: Business models based on pure online business do not have to become stationary. The rule will be different. Retailers continue to target retail parks for expansion. This is reassuring, although different requirements are brought forward to the owners. The operators of space requirements of up to 1,000 m² currently prefer shorter contract terms, while those of larger concepts still have traditional views and prefer terms of 10 to 15 years. An important factor in the desire for shorter terms is the uncertainty regarding the direction in which the market and consumer demand will develop. On the one hand, this development is problematic for investors; on the other hand, it creates opportunities. A healthy mix of terms makes it possible to adapt a location to new requirements at shorter intervals. As a rule, these requirements result from changes in customer requirements or changes in the competitive environment of a center. It remains to be seen whether and how the terms will change. This, too, will probably vary at the individual location level. At successful locations, operators of smaller concepts will also strive for longer terms, while, at new locations, they could begin with shorter terms, as a kind of test phase. In any case, the requirements for qualified leasing management will increase. Owners and operators must increasingly think about added value for the retailers. A sharpened profile and a correspondingly precisely coordinated sector and tenant mix are the strategic foundations for successful agglomeration effects. From the consumer’s point of view, the price-oriented profile of retail parks is a clear advantage. For each individual location, one has to look closely at whether the tenant mix should be shifted more towards the mid-price segment. Such a shift can move an entire center to gray, undifferentiated mediocrity, thereby rendering it uninteresting in the eyes of consumers. New paths must also be explored in center marketing – away from the traditional “something is always going on here” and towards brand building, sales promotion, and concentration on the basic benefits for consumers. To that end, investors and tenants must also make appropriate marketing budgets available. Demand for good retail parks among investors continues to be high. The price level is correspondingly high, and so is the pressure on yields. The pre-acquisition appraisals are extremely thorough. Many investors now attach importance to obtaining a property assessment from the operator prior to acquisition. Knowledge of possible operational changes is becoming increasingly important in order to successfully manage assets, despite the compression of returns. The earnings reserves lie in operational business and, in some cases, can only be fully realized over longer periods of time. In the current market environment, the retailers’ desire for greater flexibility with regard to lease terms, as described above, can also be seen as an opportunity for asset managers. The possibility of not only remodeling a location every 10 years and adapting it to the respective market situation strengthens active asset management. As the operators of large areas continue to seek long-term commitments, a new mix of terms can lead to a strengthening of the overall situation. One should not forget, however, that the retailers’ desire for greater flexibility must be considered before the still uncertain assessment of the dynamics of change. If there is more clarity in this respect, retailers’ needs may also shift back towards the customary lease terms. Over the decades, the refurbishment cycles for retail parks have become much shorter. In the 1990s, the period stood at 10 years, but now, extensive modernization is necessary after seven years. The typical duration of the planning and approval processes by the authorities and institutions involved no longer keeps up with the necessary rate of change. Taking into account the official processing times and procedural extensions due to legal objections, it is easy to arrive at a processing time of four to five years for a development plan procedure. This has serious consequences for the owners and operators of retail parks. Tenants withdraw from agreements, financing has to be renewed at inferior conditions, and construction costs increase. Municipalities also suffer disadvantages because of this. Attractive retail concepts are diverted to neighboring communities, purchasing power from one’s own community is diverted to competitors or the Internet, and the community loses its appeal as a place to live. In short: In a society whose lifestyle is changing in a very dynamic manner and that is driven by demographic change, excessively long procedures are not always helpful, even from a political point of view. The obvious conclusion: Planning and approval procedures must be significantly shortened in view of the faster changes in living environments and the accelerated development of new retail concepts. The appropriately rapid integration of all retail locations of a municipality is the best way to keep cities lively and attractive for the inhabitants. It is also necessary for politicians and administrations to acknowledge that the inhabitants and their wishes must be regarded and that they must be treated as customers. Consumer demand for brick-and-mortar shopping will remain unabated. This is not contradictory to the use of digital channels; rather, consumers perceive the entirety of the channels as mutually complementary. Technology offers retailers new opportunities, and the competition among concepts leads to new business models. Change is a continuous process; therefore no one should fear it. Customers will always appreciate good shopping concepts, whether at the level of individual stores, shopping centers, or communities.